On January 29, 2019, Norman Jewison’s classic film In the Heat of the Night will be back in the spotlight, as the Criterion Collection releases a new, 4K digital restoration of the film on Blu-ray and DVD. In the Heat of the Night came out in 1967 and was a hit with both audiences and critics, earning $24 million at the box office and five Academy Awards, including Best Picture. 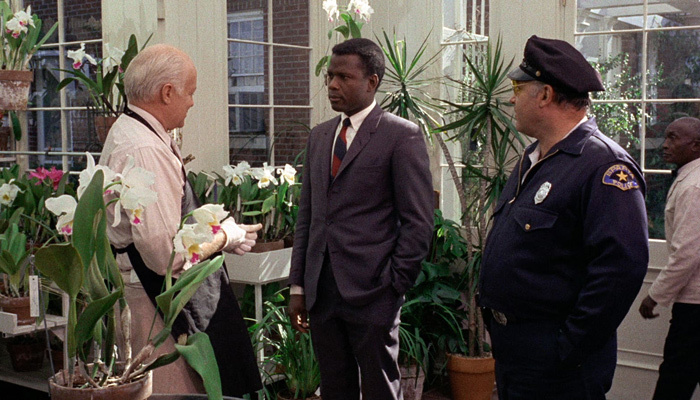 The film, which Criterion calls “one of the most enduring Hollywood films of the civil rights era,” follows Virgil Tibbs (Sidney Poitier), a Black detective from Philadelphia who travels to Mississippi and gets tasked with working alongside a bigoted police chief (Rod Steiger) on a murder investigation. In one memorable scene, Poitier’s Tibbs responds to being slapped by a racist plantation owner by slapping the man back. This moment, sometimes referred to as “the slap heard ‘round the world”, was not included in the John Ball’s book, which inspired the film. Jewison discusses this moment and more in an all-new interview for the Criterion release, explaining that he and screenwriter Stirling Silliphant decided to move the story from California to Mississippi to reflect what was actually happening in America. “This was when there were all kinds of racial disturbances … and a lot of them were in the South,” he explains in the interview. In another segment of the interview, Jewison looks back on working with Quincy Jones on the iconic soundtrack, including the unforgettable theme song. 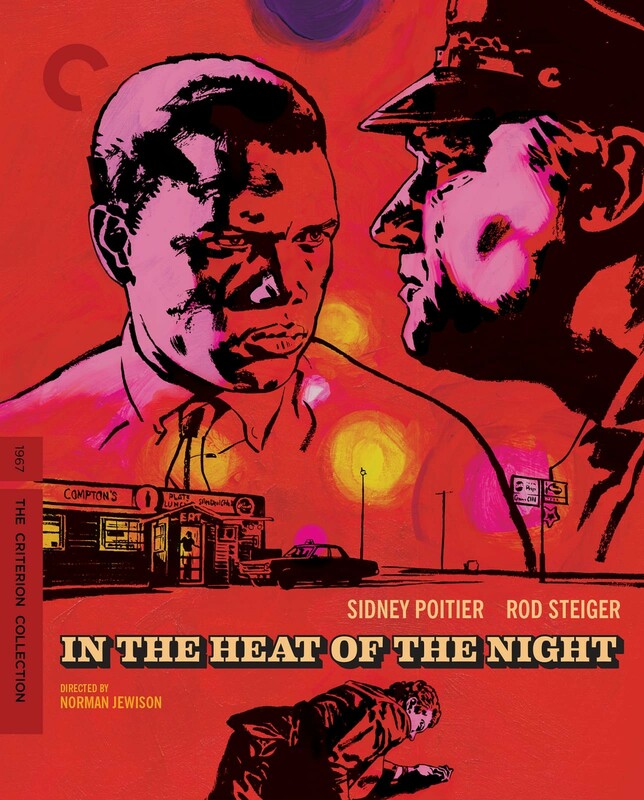 Criterion’s In the Heat of the Night release also features new interviews with actor Lee Grant and author Aram Goudsouzian, who wrote Sidney Poitier: Man, Actor, Icon, as well as a previously-seen discussion between Poitier and the American Film Institute. As a bonus, the disc comes with stunning new cover art by Sean Phillips and an original essay by Vanity Fair film critic K. Austin Collins. 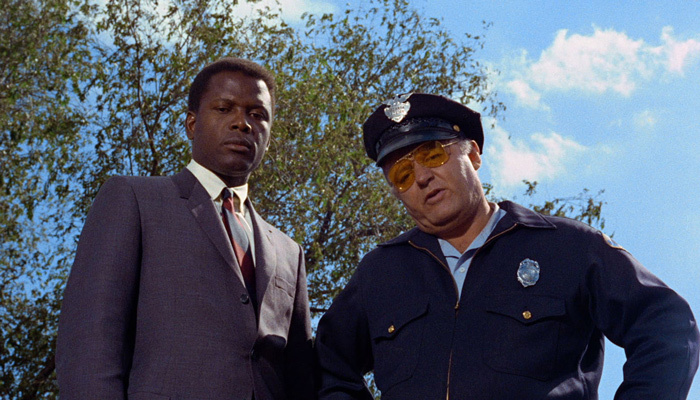 Learn more about the Criterion Collection release of In the Heat of the Night.